Brad Gosselink and Toolpig talk about the Makita track saw. I bought the (SP6000J) Makita track saw with the 55” rail a little over 2 years ago. This may be an overstatement but I believe it’s one of the tools that have completely changed my career as a finish carpenter. The first time I used the Makita track saw it reminded me of the first time I ever used a 9.6 volt makita cordless drill or the 12 volt Panasonic impact driver, I instantly knew I had to have one. Unlike the cordless drill and impact driver which I bought immediately, I hemmed and hawed about buying the track saw. It finally came down to that I had to buy one and I bought the makita instead of others because of the price point. I was struggling with a fledgling new business at the time. In the next year or so I was able to use the Dewalt and the Festool track saws. They’re both great saws and do just as good of a job cut wise as the makita but if I ever had to buy another track saw I would definitely buy the makita again for a few reasons. The Festool is expensive and it really only has two upsides. In my opinion they’re only upsides for one reason. Cutting slabs or really thick wood. One of the upsides is that you can get one of their track saws with a 7 1/4” blade compared to the Makitas 6 1/2”. That’s great but I haven’t needed to cut down a 2 1/4” door in forever and 98% of my work with these saws is for 3/4” sheet goods. The other upside is that it has a riving knife. This is a very heated debate. For me since I don’t cut many slabs I don’t have to worry about the cut closing back up on me and if it does on sheet goods or a door. Guess what, I’m returning that sheet or that door. Also, it’s not like we are using it like a worm drive nor does it have the power of a worm drive, I can easily hold the saw down in case there’s kickback which is most commonly caused by me not the saw or lack of riving knife. The Dewalt also has a riving knife and it only comes with a 6 1/2” blade. It uses its own guide rail system which is a big problem for me but not so for others who are heavy into the dewalt line. In the time I’ve been able to use Dewalt, the saw works just as well as the Makita or Festool but it has one big Achilles heel in my book. The plunge action, for some people who have only used the Dewalt it’s not a big deal but for guys like me who use the makita it’s a big deal. Instead of the plunge action curling into the wood it slides down and in. I always feel like I’m exerting too much pressure down, so much so that I’m afraid to use the track saw without the clamps. Which for the festool and makita I bought the track clamps and have never used them. In my opinion because of the way the plunge action is on the Makita and Festool, the saw glides better and you’re pushing forward and not down and forward. The other problem with the Dewalt is the track. You can only use other Dewalt tools on the track. Since the Makita and Festool tracks are pretty much interchangeable. If you destroy your track you can borrow your buddies while yours is on order ( I have never ever had to do that, lol). If you buy a Festool router, which you can now afford because you bought the Makita track saw, you can use that router on the Makita guide rails. Now for why I like the Makita better than the other two. I’m rough on tools, really rough. I don’t throw them or anything like that but I definitely don’t take care of them like I should. The Makita can take a beating, trust me, also if you do destroy it by dropping it from height you can get another one for a very reasonable price. That brings me to my second opinion, price. The Makita is considerably less expensive than the Fezz, it arguably does just as good of a job and it’s tracks are pretty much interchangeable with the Festool. top-heavy and awkward on the bevel cut. The Makita has a lock on the saw that goes into the track. This makes it so the saw shouldn’t come off the track when let go on the bevel. It also makes it very hard to make the saw go past 45°, unlike the Dewalt and Makita which don’t have a lock to the rail all you have to do is let the saw bevel and it’s off the angle. With the Makita you have to pull the whole track off the wood with the saw to go off bevel. In retrospect, all of these saws are good, all will save you time and money and will make your job site safer. For me it’s a no brainer, get the Makita. You will be more than happy with it, it does its job extremely well and you won’t break the bank buying it. 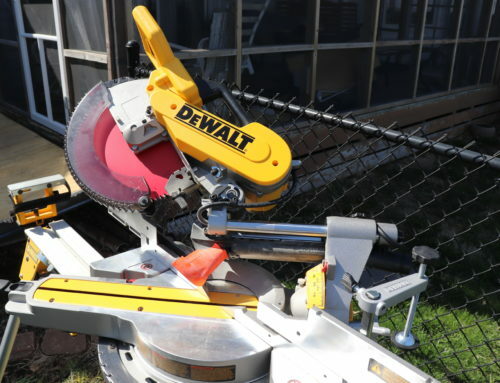 One last thing, get the long track with the saw don’t just get two 55” tracks and keep putting them together and taking them apart and putting them together and taking them apart and putting……..
My original tracksaw purchase was going to be this Saw. I tried for months to check one out at a dealer but I could not find one anywhere near my home. I was actually trying to avoid looking at the Festool because of price and I did not want to get started on an expensive path. That all changed when I was invited to Schutte Lumber Company in Kansas City, MO for a Festool Friday event. I immediately bought the TS55 REQ with a CT 36 extractor as well as an MFT multi function table and an ETS 125 sander. I had read that Makita had a more powerful motor but I decided to go ahead and buy the Festool. I liked the riving knife and the off cut splinterguard. I decided that being able to have a perfect splinter free cut on the work piece and the off cut without scoring would eventually pay for the difference in saved labor and materials. Since I would be using the saw primarily for sheet goods like MDF and plywood I figured the Ts55 would have plenty of power to get that work done. I also figured that if I ever needed to cut heavy slabs or thick doors I could always invest in a TS 75. After running the saw for about a year the TSC 55 came out. I decided that I needed one. I Thought it would be a good supplemental Saw to the corded one. I was t was every bit of an eye-opening experience as my original TS55track saw was. With more power and no hose to mess with it became my favorite tool ever. I eventually sold the corded Saw from lack of use. There was still a nagging doubt in the back of my mind. I really wanted to know how good the Makita version of the track saw was. People asked me at least once a week how it compared to the Festool saws. I just didn’t feel right about giving any answer without actually using one. Late in 2016 I put my order in for an SP 6000 J and 2 55 inch rails. I also ordered a pair of the clamps and a set of guard rail connectors to make one long rail out of two short ones. It has been flawless for the past eight months. I have purposefully used it more than my Festool saws and I have been very pleased. I really do like the extra power. The motor is very smooth and has a really nice soft start and electric brake. The over all operation is typical Makita. Controls are well placed. The handle is comfortable. The plunge action is very smooth. I also like the bevel lock mechanism. It allows you to lock the Saw to the track while making bevel cuts. Check this short video to see it in action. I have found the riving knife omission to be less of a problem than I had been led to believe. I have actually never had a kickback on a track saw with or without a riving knife. Similar to what Brad said I have used a worm drive Saw for my whole career. At this point it’s 30 years. I pay attention to how a Saw feels in the cut. You can feel a motor starting to labor more if the blade starts getting pinched in the kerf. I can control a kickback on a wormdrive. These track saws don’t have near as much torque as a wormdrive. The other omission was the offcut splinter guard. I miss this more than the riving knife. It allows a little more splintering on your waste side of the cut. If that cut off is scrap it’s no big deal but if that cut off is half a sheet of plywood or maybe even more it could create a problem. 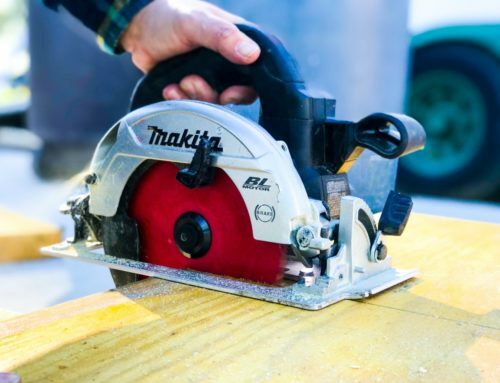 The Makita does allow for a 2mm deep scoring cut which drastically reduces the chipping and splintering in difficult materials like melamine and thin veneer plywoods. It really works well and produces cuts as clean as or cleaner than the Festool TS55. Although this does increase the quality of the work it also increases the time spent for each cut. This also allows a little more dust into the air even when hooked to an extractor. In the end it is up to you to decide how much dust is acceptable for your situation. I say for 95% of the jobs we do the dust extraction on the Makita is fine. If you want better extraction you will have to pay significantly more for it. In the end, it’s not a matter of which Saw is better. It’s which saw is better for YOU. If the quality is really close you have to look at features. Which ones will work best in your shop or on your jobsite. I review and recommend products to help you get the most for your money. . If you make a purchase by clicking one of my links, We earn a 5% commission without affecting the price. My review stands with or without any commission. this has easily become my favorite tool company. i’ve been following you on instagram (@dominique.rachelle) since you started it and you’ve inspired me in my work. working three years as a hardware store mamanger and using my hands to help those around me is what i love for. Greaseball is my favorite account! I have the makita 5007mg and love it, I could only imagine a track saw. The possibilities are endless but it would be perfect for trimming down doors. I bought the corded version a year ago, cant explain how much this changed the game. I did however buy the Metric version…..anyone have a link for purchasing an imperial gauge? My primary cordless platform is Makita, started with the J Spec TD170D Impact driver and I never looked back. And the Makita cordless router.. too good to be true. Crazy how much power that thing has. Love your reviews. Extremely in depth and always answer all the questions I have and then some. I definitely need this bad boy in my arsenal! ? Hey. Thanks for the write up guys. It really does help when you are considering a purchase of this importance and monetary commitment. I was already leaning towards the Makita (probably because of all the reviews from Instagram, especially all the Makita tools Gypsy Hammer used in Cali), but this article seems to be tipping the scales. I didn’t realize that the Makita did not have a splinter guard, but happy to find that the score cut option on the Makita somewhat replaces the need for a splinter guard. That seems like a good option, considering the fact that I have heard reports of the splinter guard getting damaged in use and not working as well anymore. And I am not quite as worried about dust extraction as some, and the festool may not be worth the extra money to me in that reguard. These won’t cut 3 inches deep. If you’re wanting to enter the contest it is on the cordless Makita truck saw. I can really tell you like this one. I do really like the Makita but I’ll tell you any of the tracksaws are game changers. If you work retrofitting any doors or use sheet goods it’s a game changer. Nice right up guys. I don’t have a tracksaw, and have been thinking about getting one soon. This article was very informative. Keep up the good work! Great read, guys. I love my Makita for the same reasons as Brad. Have either of you tried running non-makita routers on the makita/festool rails? I’m curious to see if a Bosch Colt could run in the Makita jig. Idiot proof dados would be a big upgrade. I have used the dewalt and agree the plunge action is not quite right. But I am used to the festool action as I’ve been using my employers for 2 years now. Im still not convinced ither way. Poor man buys twice I’ve been told. i do need to make a decision though I hate not having one when I need it. Does the festool hkc go on the makita tracks? Hey Brad, thanks for the write up. Great info. I love my Makita, and have used it pretty regularly over the last 6 months. I actually get excited when I can break it out to rip apart some sheet goods, because it used to be such a miserable chore prior to owning this saw. I unfortunately can’t compare it to the Festool as I have no experience with it, but I don’t know how it would get much better than the Makita… unless you are already invested in the Festool system. My one complaint with the Makita track saw kit has nothing to do with the saw itself, but the tracks. I bought two 55″ ones with the saw, but only one was straight. The other had a pretty decent curve to it, maybe 3/32″ at the apex of the curve, which made it absolutely unacceptable for use. I had to return it, and just prefer to snap a line and make two cuts with the one 55″ track I have left to do a full rip on a piece of sheet good. Not as efficient as one cut, but I can reposition the saw and track in less than 15 seconds usually. Lastly, the only time I’ve needed the track clamps is when cutting down some faux barnboard sheets that had a particularly slippery primered surface. And if you need to buy the clamps, get the Dewalt ones, since they fit in the makita track but have the quick tighten/release trigger versus the screw handle you have to torque down. Guys, thank you very very much for your investment of time. I appreciate you two very much and I am thankful for all the great Instagram content and toolpig reviews. I at this point can at least eliminate dewalt from my list. And now I have to think more about the Fez…I didn’t want to. On the whole riving knife thing. 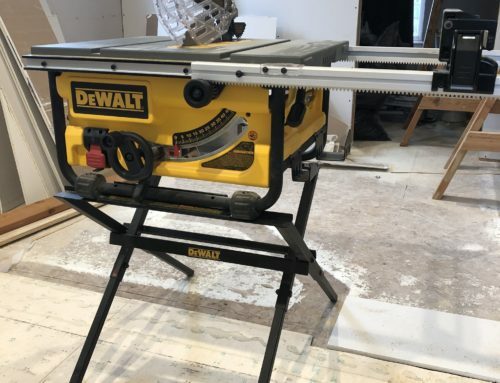 I recently upgraded by 10 fold to the 28″ dewalt table saw. I decided to leave the riving knife in. I have never till now used a table saw with one. I really didn’t know why I left it but I did. I did not install the guard with the pawls for kickback. I have had to do some freehand angled rips lately and The straightness of my rips has increased dramatically. Which I was worried about because I have been drinking more caffeine… I attribute it to the wider surface that makes it harder to wiggle. You can. Now I know this is for a track saw, so it really doesn’t matter, but if you use a track saw free hand… What do you think? Am I crazy? Great write-up! Got mine this past winter to help with a Trex deck project and all I can say is, it changed my life. That’s great John which one did you get? And which ever one it was they are game changers for sure! Awesome right up boys! Look forward to adding this to my makita line up?? Thanks! Thanks Colton! I’ll be using the cordless a lot coming up and I’ll try to get in a review of that one soon! Awesome write up guys! The Makita is a great choice for a tracksaw. I was pleasantly surprised when I used one for a week onsite compared to my TS75. Its a great option and I could not hate on it, but I really love my TS75 for the bigger tasks like gang cuts and hardwood straight lining. The mak can do it too however. Id like to know if its comparable to festools tracksaw, either way i need one for my endeavors. And if i can save 200 on a saw thats just as good minus the festool name id do it. I’m sure I can help you. What is your main use? Hi Alex this is Brad Gosselink one of the contributors to the article. If you’re just getting a track saw for doors and sheet goods than I would tell you to get the makita. If you’ll be doing more than just one or two slabs and thicker than 1 3/4″ than you’ll want the bigger fezz that cuts 2 1/4″ thick and has a riving knife. Either way you’ll be more than happy and they will both dave you time! I appreciate the knowledge Brad.